Summary: Taking a mobile neuroimaging system on the road to prisons, researchers look at the brain activity of those considered to be psychopaths and discover their brains are wired in a way that leads them to over-value immediate rewards while neglecting future consequences. Josh Buckholtz wants to change the way you think about psychopaths — and he’s willing to go to prison to do it. An Associate Professor of Psychology, Buckholtz is the senior author of a study that relies on brain scans of nearly 50 prison inmates to help explain why psychopaths make poor decisions that often lead to violence or other anti-social behavior. What they found, he said, is psychopath’s brains are wired in a way that leads them to over-value immediate rewards and neglect the future consequences of potentially dangerous or immoral actions. The study is described in a July 5 paper in Neuron. “For years, we have been focused on the idea that psychopaths are people who cannot generate emotion and that’s why they do all these terrible things,” Buckholtz said. “But what what we care about with psychopaths is not the feelings they have or don’t have, it’s the choices they make. Psychopaths commit an astonishing amount of crime, and this crime is both devastating to victims and astronomically costly to society as a whole. Obtaining the scans used in the study, however, was no easy feat — where most studies face an uphill battle in bringing subjects into the lab, Buckholtz’s challenge was in bringing the scanner to his subjects. The solution came in form of a “mobile” scanner — typically used for cancer screenings in rural areas — that came packed in the trailer of a tractor trailer. After trucking the equipment to a two medium-security prisons in Wisconsin, the team — which included collaborators at the University of Wisconin-Madison and University of New Mexico — would spend days calibrating the scanner, and then work to scan as many volunteers as possible as quickly as possible. The team ultimately scanned the brains of 49 inmates over two hours as they took part in a type of delayed gratification test which asked them to choose between two options — receive a smaller amount of money immediately, or a larger amount at a later time. The results of those tests were then fit to a model that allowed researchers to create a measure of not only how impulsive each participant’s behavior was, but to identify brain regions that play a role in assessing the relative value of such choices. What they found, Buckholtz said, was people who scored high for psychopathy showed greater activity in a region called the ventral striatum — known to be involved in evaluating the subjective reward — for the more immediate choice. When Buckholtz and colleagues began mapping which brain regions are connected to the ventral striatum, it became clear why. That lack of connection is important, Buckholtz said, because this portion of the prefrontal cortex role is thought to be important for ‘mental time-travel’ — envisioning the future consequences of actions. There is increasing evidence that prefrontal cortex uses the outcome of this process to change how strongly the striatum responds to rewards. With that prefrontal modulating influence weakened, the value of the more immediate choice may become dramatically over-represented. That lack of connection is important, Buckholtz said, because this portion of the prefrontal cortex role is thought to be important for ‘mental time-travel’ — envisioning the future consequences of actions. NeuroscienceNews.com image is in the public domain. Ultimately, Buckholtz said, his goal is to erase the popular image of psychopaths as incomprehensible, cold-blooded monsters and see them for what they are — everyday humans whose brains are simply wired differently. Harvard “Probing Psychopathic Brains.” NeuroscienceNews. NeuroscienceNews, 5 July 2017. Harvard “Probing Psychopathic Brains.” http://neurosciencenews.com/psychopathic-brains-7033/ (accessed July 5, 2017). Psychopathy is a personality disorder with strong links to criminal behavior. 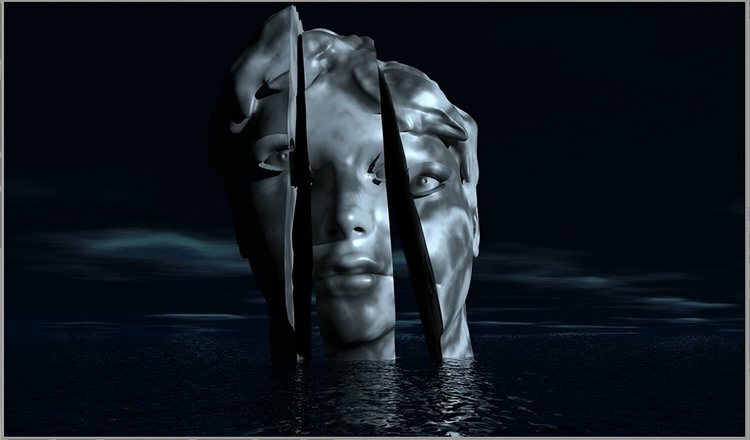 While research on psychopathy has focused largely on socio-affective dysfunction, recent data suggest that aberrant decision making may also play an important role. Yet, the circuit-level mechanisms underlying maladaptive decision making in psychopathy remain unclear. Here, we used a multi-modality functional imaging approach to identify these mechanisms in a population of adult male incarcerated offenders. Psychopathy was associated with stronger subjective value-related activity within the nucleus accumbens (NAcc) during inter-temporal choice and with weaker intrinsic functional connectivity between NAcc and ventromedial prefrontal cortex (vmPFC). NAcc-vmPFC connectivity strength was negatively correlated with NAcc subjective value-related activity; however, this putative regulatory pattern was abolished as psychopathy severity increased. Finally, weaker cortico-striatal regulation predicted more frequent criminal convictions. These data suggest that cortico-striatal circuit dysregulation drives maladaptive decision making in psychopathy, supporting the notion that reward system dysfunction comprises an important neurobiological risk factor.